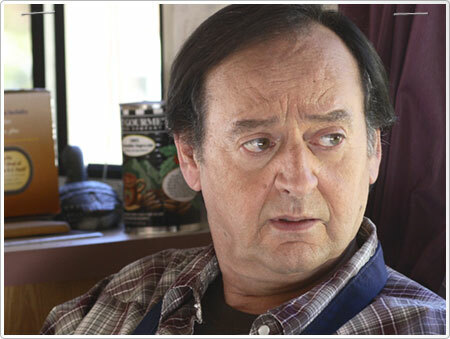 Joe Flaherty was born in Pittsburgh in 1941. He spent four years serving with the Air Force before embarking on a career as a draftsman, but soon gravitated towards acting, a profession he had sampled as a teenager performing children's theatre at the Pittsburgh Playhouse. He was eventually offered a position with Chicago's legendary Improv troupe Second City, where Flaherty worked with comedy luminaries such as John Candy and Harold Ramis. In 1976, he joined the cast of the classic comedy sketch show SCTV, where he created a bevy of memorable characters including earnest newscaster Floyd Robertson, Monster Chiller Horror Theatre host Count Floyd, and unnecessarily wheelchair-bound station owner Guy Caballero. Flaherty's television credits include roles on HBO's Really Weird Tales (1987), which he also co-wrote; The Completely Mental Misadventures of Ed Grimley (1988); Maniac Mansion, playing inventor Fred Edison; Little Dracula (1991); and the critically acclaimed series Freaks and Geeks, in which he portrayed father and purveyor of scary morality tales Harold Weir. He has appeared in dozens of films, including Tunnel Vision, 1941, Used Cars, Stripes, Going Berserk, Sesame Street Presents Follow That Bird, Club Paradise, Innerspace, Looking for Miracles, Back to the Future Part II, Stuart Saves His Family, Happy Gilmore, Dogmatic, The Wrong Guy, Detroit Rock City, and National Security.